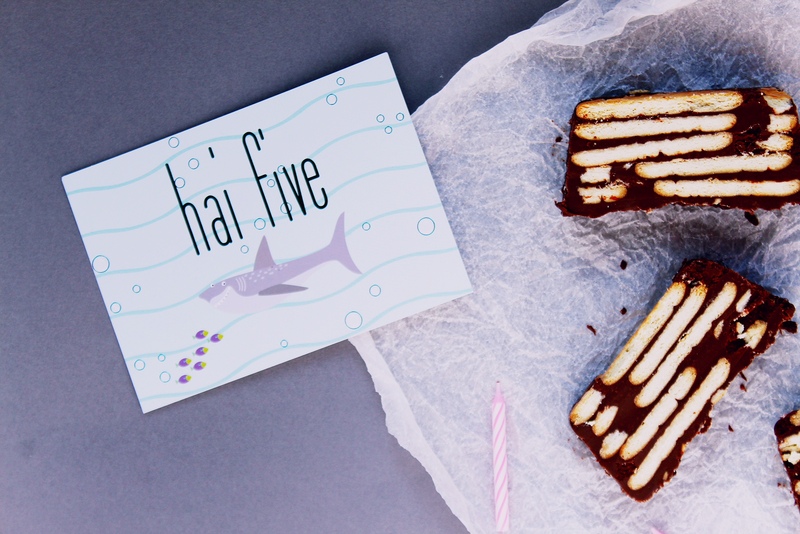 In Germany, one of the most popular cakes at birthday parties is Kalter Hund – which translates to Cold Dog. 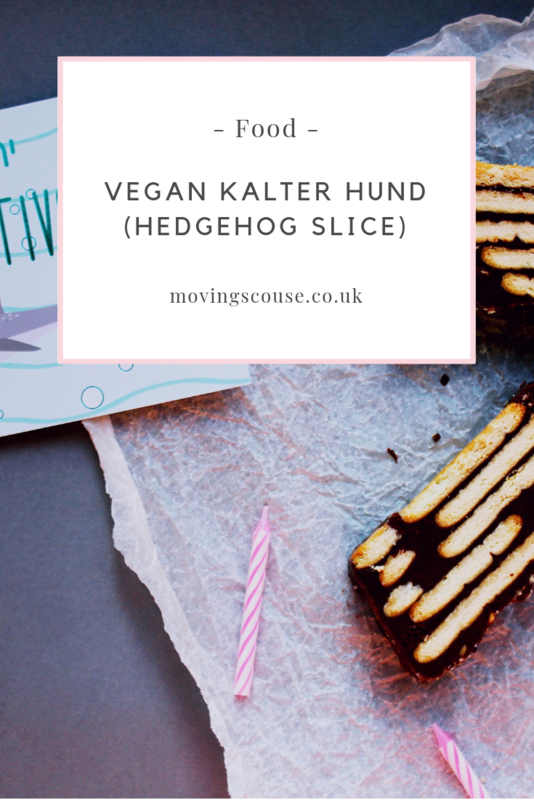 Apparently it’s known as Hedgehog Slice in the UK, but since I’m writing this post out of nostalgia, and also because Cold Dog is a MUCH funnier name, I’m going with Kalter Hund. The recipe is more or less fail-safe and super simple. Vegan Kalter Hund is a great recipe to try with the kids, since there’s no actual baking involved. Plus, even if it goes completely wrong, the results will still be delicious. Biscuits and chocolate combined just can’t ever truly fail, can it!? There are a few things to note with this: firstly, it is 100% necessary to eat this chilled, otherwise it kinds of just falls apart. It isn’t called Kalter Hund for nothing. Secondly, if you follow only one instruction from the method below, make it the one about lining your loaf tin with greaseproof paper. Seriously. If you try to make this in an unlined tin, you won’t ever be able to get it out. Thirdly, you can play around with the types and ratios of chocolate you use. 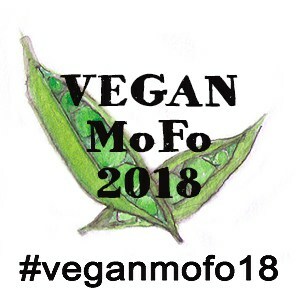 I used a mix of dark and vegan ‘milk’ chocolate as this is closest to the original recipes I grew up with, but some people use all dark, with a higher ratio of coconut oil, or all milk. It’s up to you! Finally, make this your own. It’s a really basic recipe, so you can experiment to your heart’s content. Personally, I really want to try this with vegan white chocolate and chocolate biscuits. Also, I think a ‘birthday cake’ version with lots of sprinkles would be cool! If you try anything creative with this recipe, please do share in the comments – I want to hear all about it! Line a loaf tin with greaseproof paper or baking parchment. Add 2-3 tablespoons of the chocolate cream to the bottom of your loaf tin, and immediately cover with a layer of biscuits. Continue this pattern of alternating chocolate cream and biscuits until you have used up all your chocolate mixture. 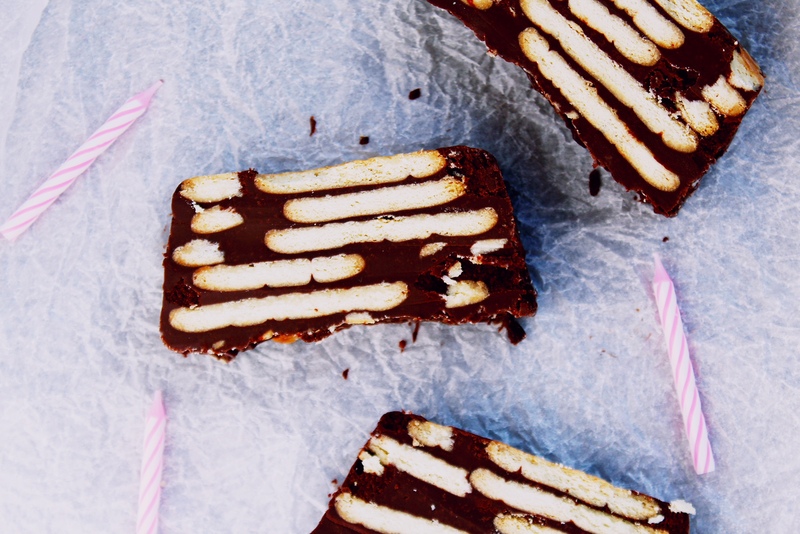 Make sure the very top layer is chocolate, not biscuits! Chill in the fridge for two hours. Then remove from the tin, slice (carefully, using a knife run under hot water works best here or everything will break apart), and serve immediately. Mmmm… this looks good. 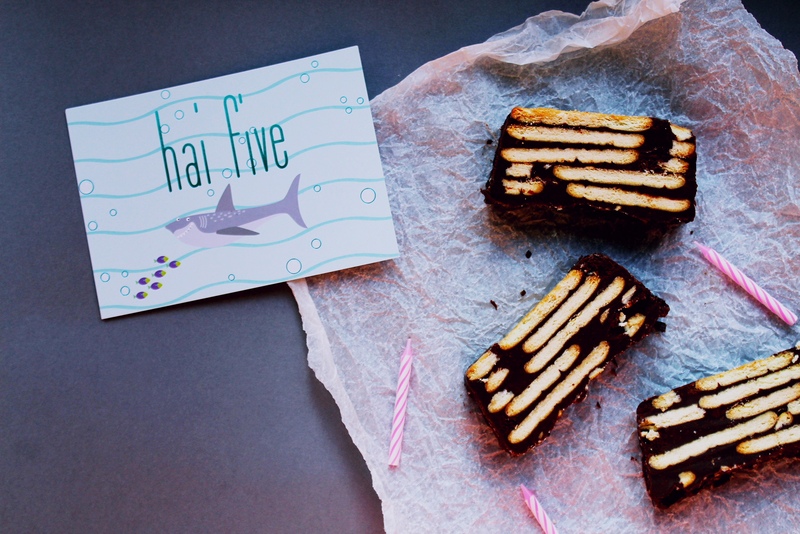 This makes me think of all the icebox cakes that were popular in the 50s and 60s in the states. 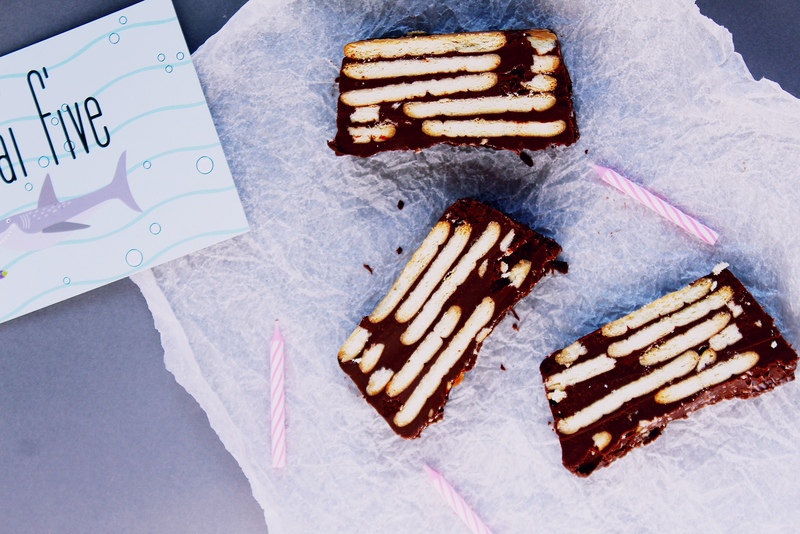 I’ve always thought icebox cakes look so cool but I’ve never made one… need to change that asap!